There seems to be a theme this week :) all about the smile. Turn that from upside down people, you ever have one of those days when you want to be a little grumpy but then along comes someone with a over abundance of happy and you can't remember what put you in your funk in the first place. We all need one of those people. I use to have a hard time working with bright colours, now they just seem cheery to me. Maybe it is that spring is trying to fight its way in and I am looking forward to warmer temps but they just looks fun and with positive sentiment to pair them with... well you get the idea. I used both sides of a 12 x 2 page, I offset the top panel and added a layer of foam. I die cut some thin circles and popped the heat embossed sentiment up why foam tape. 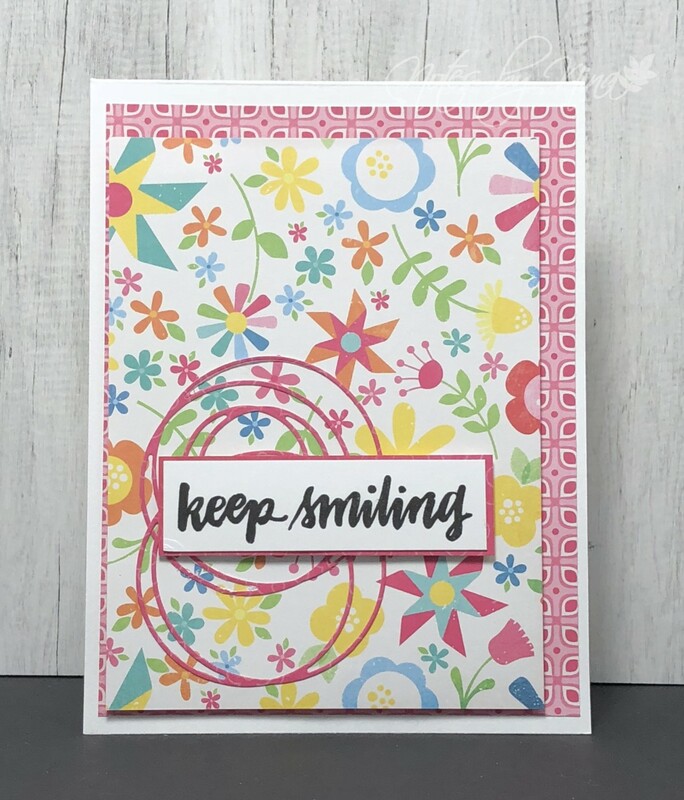 Supplies: White cardstock, Designer Paper-Echo Park, Simon Says Stamp - Hand Lettered Encouragement, SSS-Die cut. Yup, it’s contagious and some folk are like all charged up with it - stay close and its like the sun charging your soul-er panels haha! You carry off these bright and fun colors so naturally - this card makes me smile!